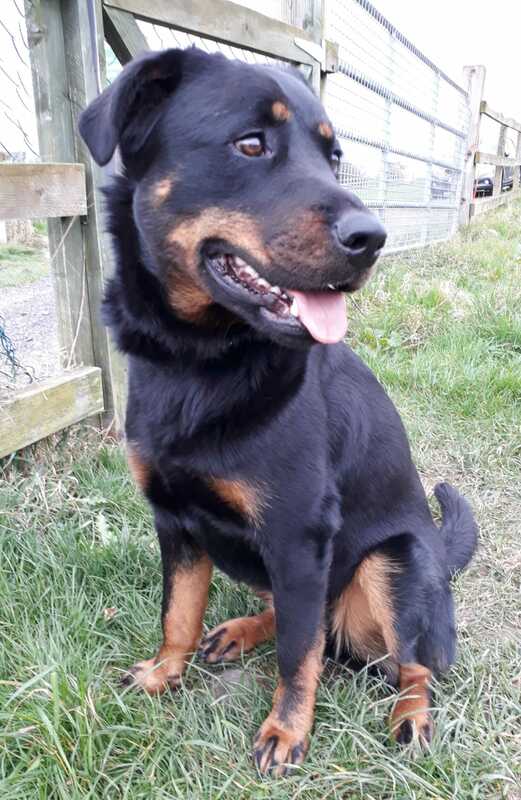 Lola is a two to three year old Rottie cross who needs a new home. She walks well on the lead and looks for guidance from her handler when she is out walking. She must go to a home with a family who has experience of large breed dogs…her owner must be prepared to work with her, provide training and guidance at all times. She must always be walked on a lead, and as she is a restricted breed, she must wear a muzzle in public places. She should always be walked by a competent and strong handler, she should never be walked by children. She does not like small dogs and she hates cats. She can be re homed with another large dog. She is very good with older children and would be best suited to a family without young children. She is spayed, chipped and vaccinated. We ask for a minimum adoption donation of €150, a licence and collar disc are required to complete the adoption and a home visit applies. With expressions of interest please contact 0871279835 or email kwwspca@gmail.com.